YUMBE – The UPDF has launched a new manhunt for suspected South Sudanese gunmen who on Monday sneaked into Yumbe District and kidnapped three Ugandans. The raid, which took place in Maru Village, Goboro Parish has left residents in panic. According to Swaib Abale, the Goboro parish chief, the residents were in their garden when the armed men struck around 9:30 am. 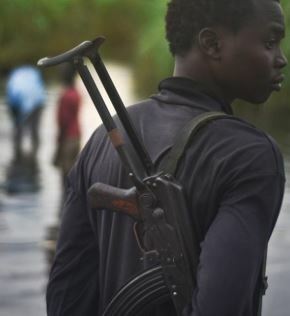 “I was informed by my people on ground that suspected gunmen from South Sudan entered in one of the villages and abducted three people and this has sparked fear in the village according to residents and local council authorities,” Mr Abale said. Mr Richard Andama, the Yumbe Resident district Commissioner, identified the victims as Modesto Abindu, 55, Alex Azubile 25 and Leku Ndebo 45. “Every effort is being made to find those people who were abducted and bring them home through our intelligence network at the border and South Sudan government,” Mr Andama said. He said the gunmen collected cash worth 340.000 shillings and other items like 3 cartons of Soda, 4 packets of salt, and 6 mobile phones. “One of the victims identified as Alex Azubile was released to come and take 700.000 Shillings for facilitating the two remaining at the custody to be released,” he said. Major Kennedy Rogocy, the sector intelligence officer for West Nile region, said that the Ugandan security is engaging with the SPLA IO to release the group. “At least they have released one and they promised to release others and i don’t know whether they have released them on Tuesday evening much as they promised to do so. We are on the ground and the situation is under control and such incidences are isolated cases, so we are capable of managing the situation so this is not out of hand,” Maj Rogocy said.